We are offering Membrane Housing Vessels to our clients. 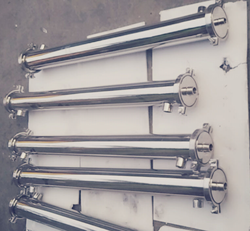 We are offering RO Membrane Housings to our customers. We are dedicatedly involved in providing an excellent quality array of FRP Membrane Housing, for catering the various needs of our clients. Backed by huge industry experience and market understanding, we are involved in offering a wide array of Membrane Housing for our valued patrons. 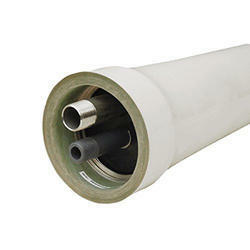 We provide a range of Membrane Housings, which are acknowledged for high performance and better durability. We offer these membrane housings in various sizes, lengths, dimensions and operating pressure ratings. Our range of membrane housings are easily compatible with any type of water treatment and RO systems. We have marked a dynamic position in the market by providing the finest quality range of RO Housing. Aquarius Innovations Pvt. Ltd. is a leading manufacturer of fiberglass reinforced plastic pressure vessels. The quality of our product is best. Our product ranges of FRP are made by technical personnel. Enriched by our vast industrial experience in this domain, we are into providing FRP Membrane Housing.